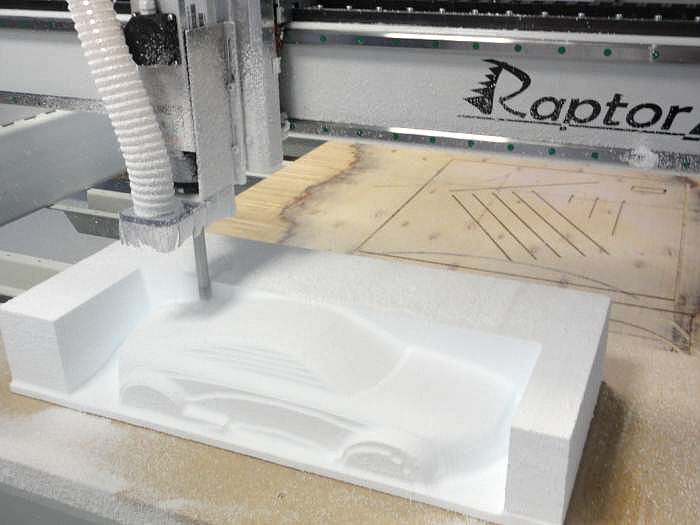 Rapid prototyping with the CNC machine in hard foam. 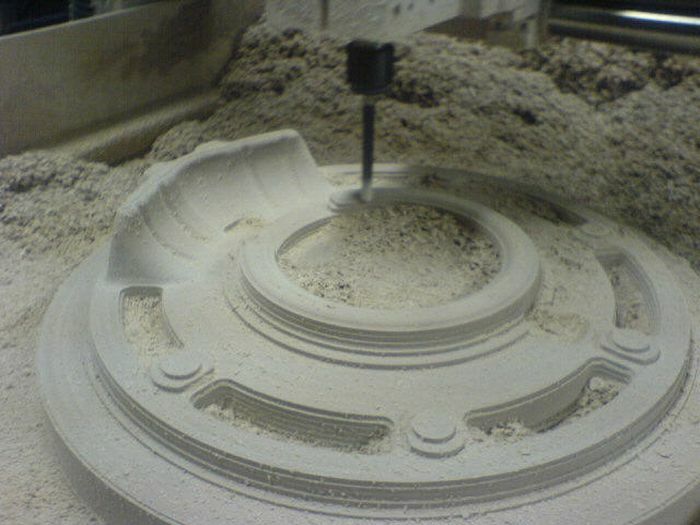 Milling is done in these examples in Styrodur, Styrofoam and Ureol. 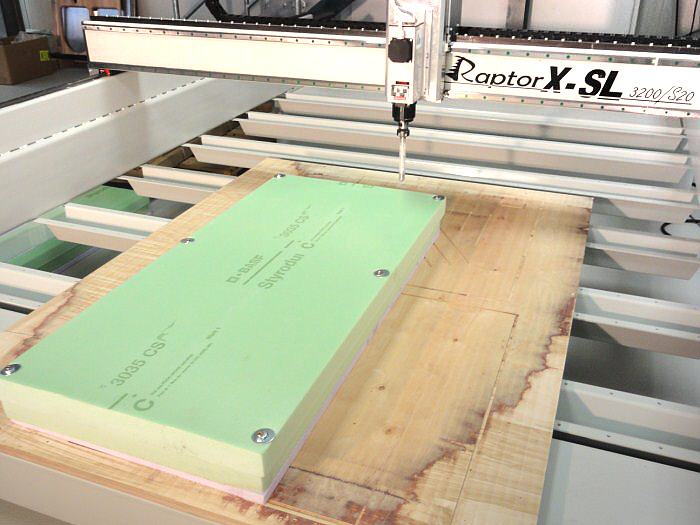 Thanks to the 3-way height-adjustable table top struts, you have the choice of milling plate materials with maximum stability or high 3D bodies at any time. 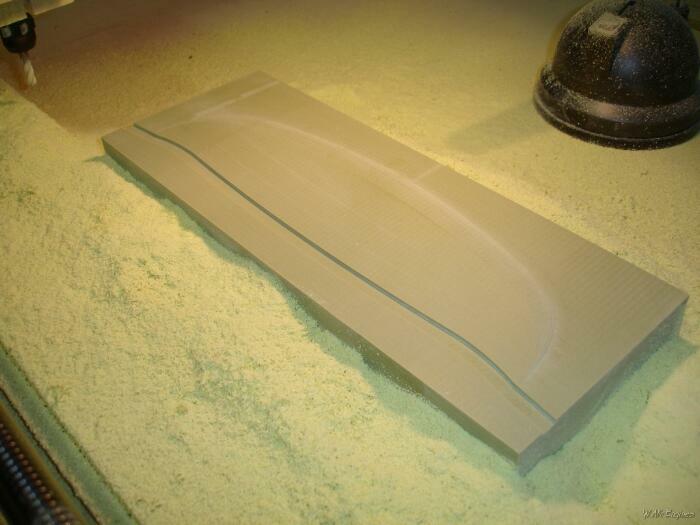 In our first example we cut a boat hull from Styrodur. 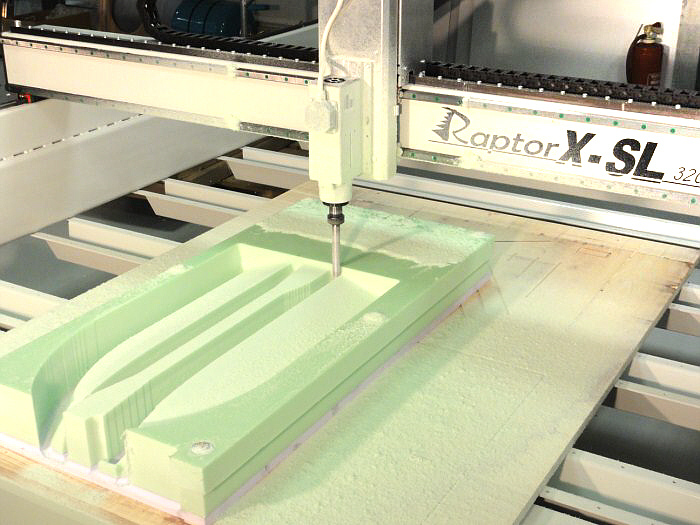 Our large milling machine RaptorX-SL is used. 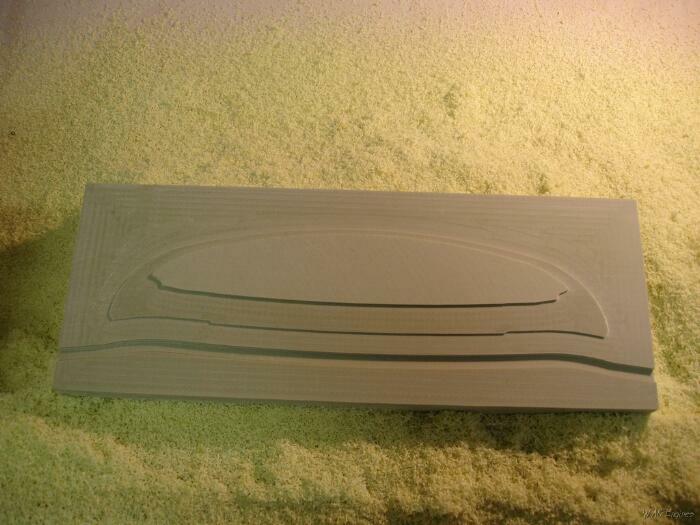 For the rapid prototyping with Styrodur, we use a very special steel polystyrene cutter with a diameter of 20 mm and a length of 150 mm. 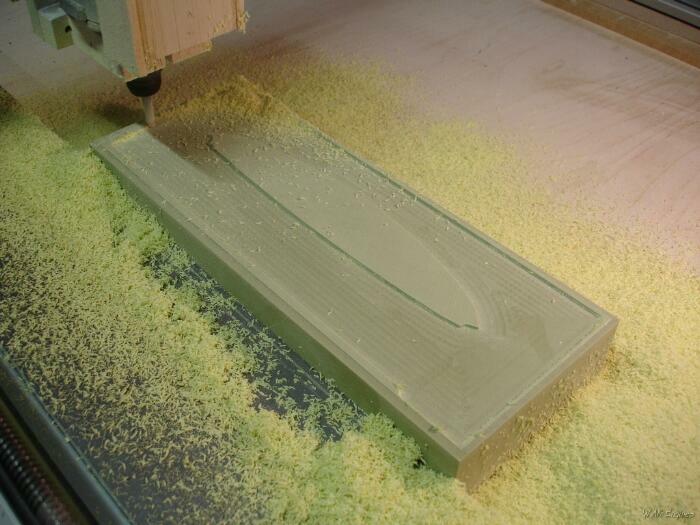 The depth infeed during roughing was chosen here to be 110 mm, the distance between the milling paths is 2 mm. 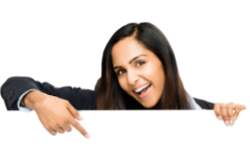 It is finished directly. 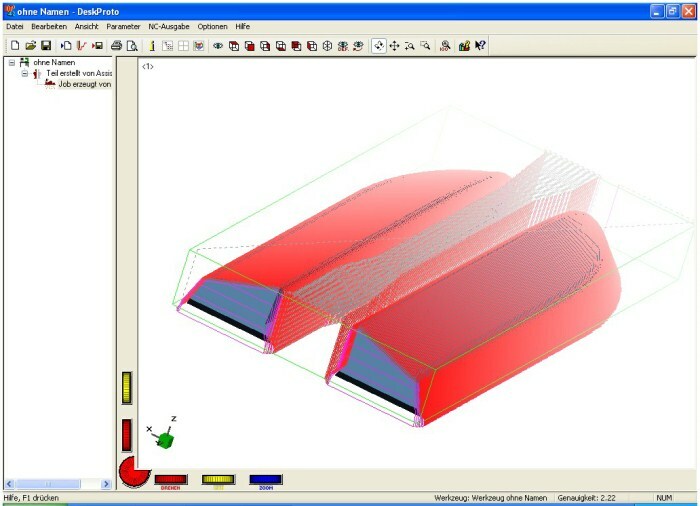 In this case the milling paths were generated by the software DeskProto. 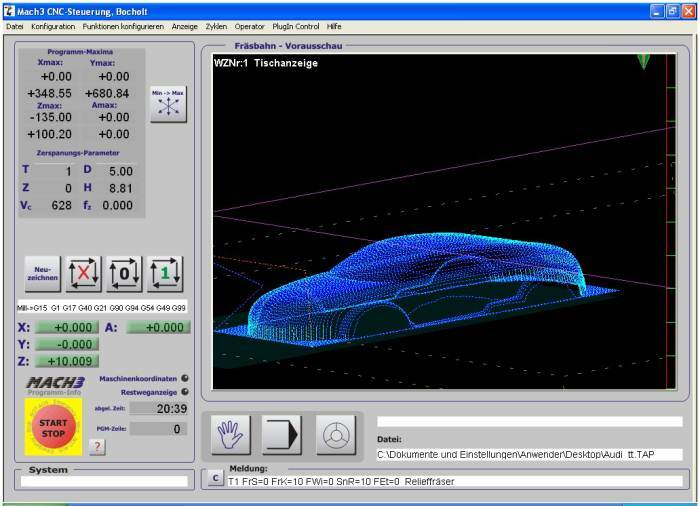 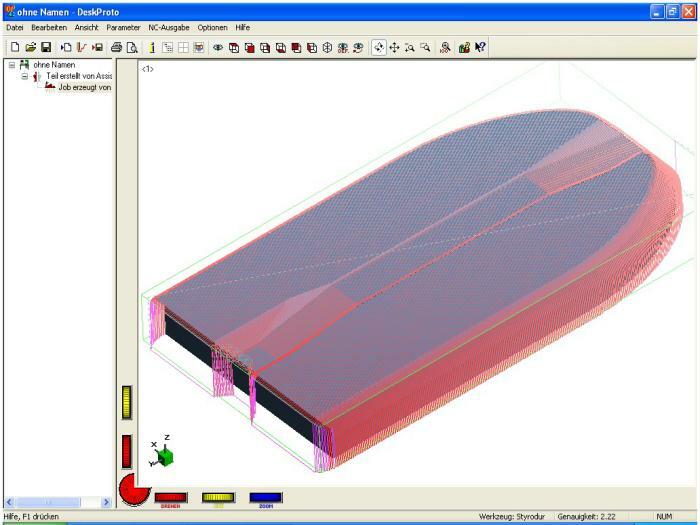 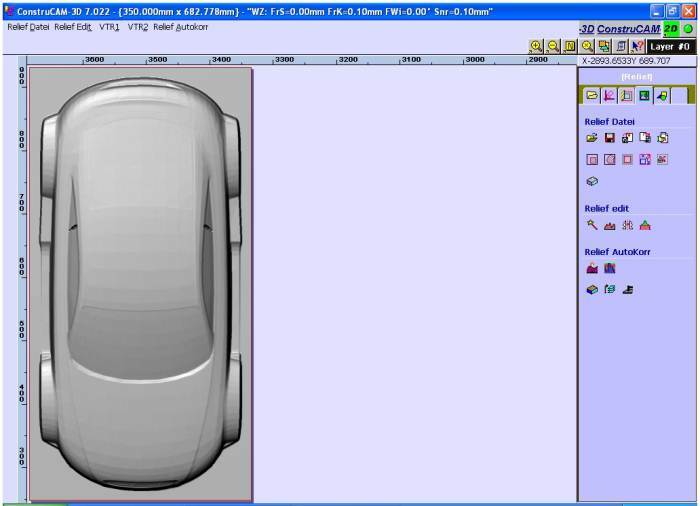 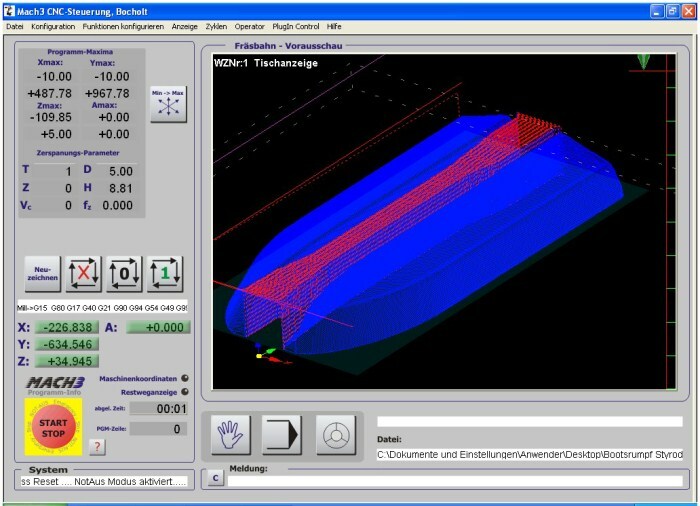 Of course, it is also feasible with our software ConstruCAM-3D. 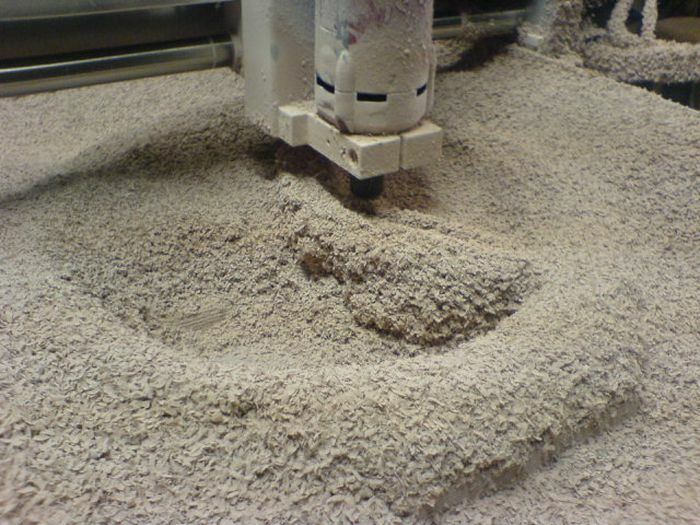 The feed speed is 100 mm per second, 6 meters per minute. 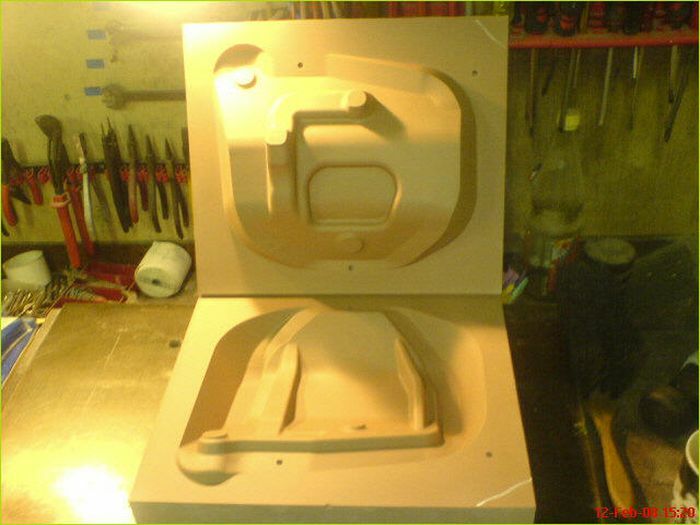 The complete two-part mold with a size of approx. 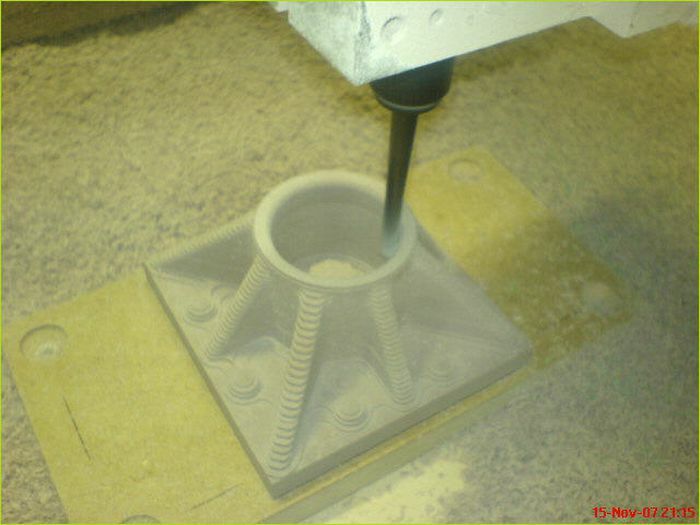 1000 mm x 500 mm x 220 mm was completed in only approx. 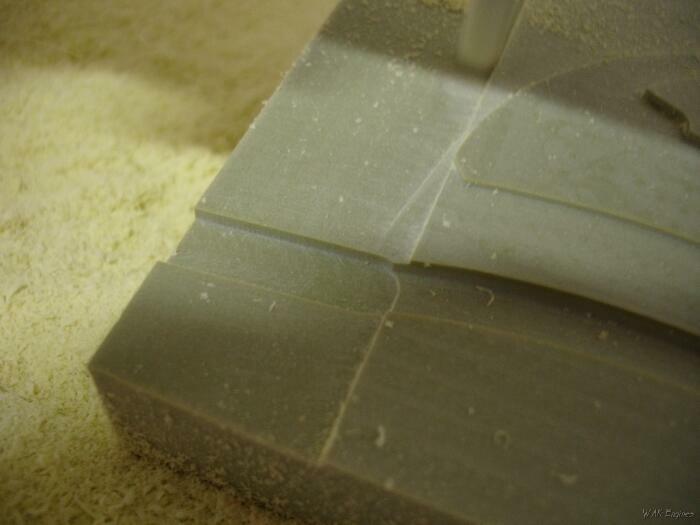 190 minutes. 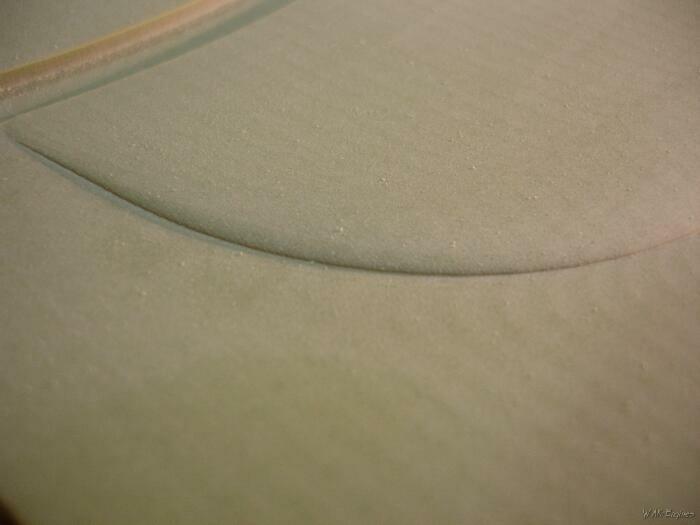 With the cutter used and the high feed speeds, we got a clean and for the material quite smooth surface, which comes very close to a hot wire cut. 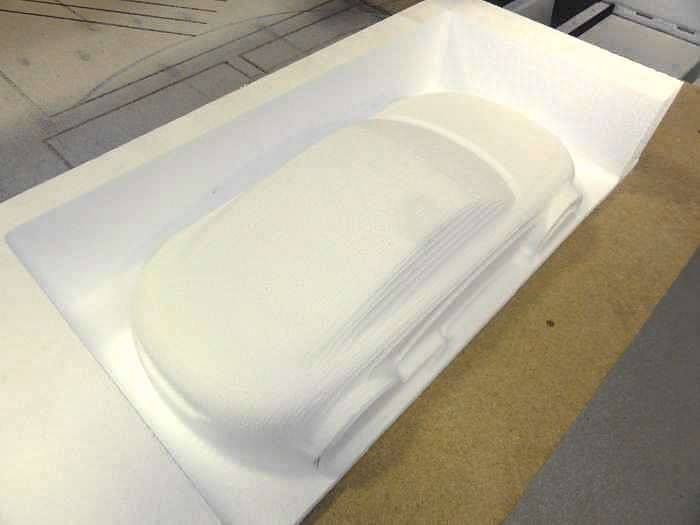 There are special lacquers or roll coatable and sprayable two-component coatings for the surface treatment of Styrofoam, which make these materials shine even in high-gloss colors and, above all, are even weatherproof. 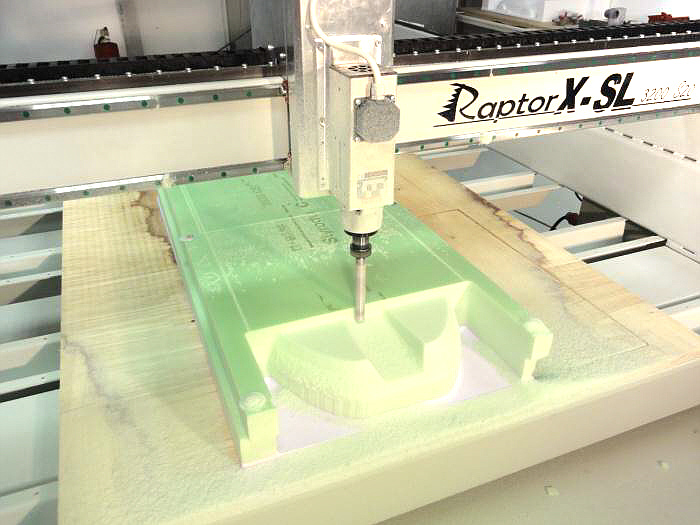 Thus, XPS / Styrodur is the ideal material for rapid prototyping, trade fair construction, 3D mold making or large-scale mold making.Also, the RaptorX-SL CNC Milling Machine is suitable for 3D machining in wood, metals and even stone. 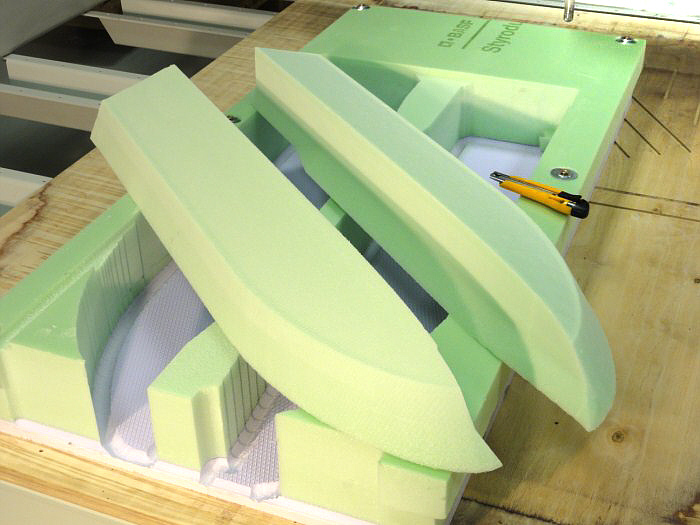 In this example, we show rapid prototyping images of the making of wings from model foam. 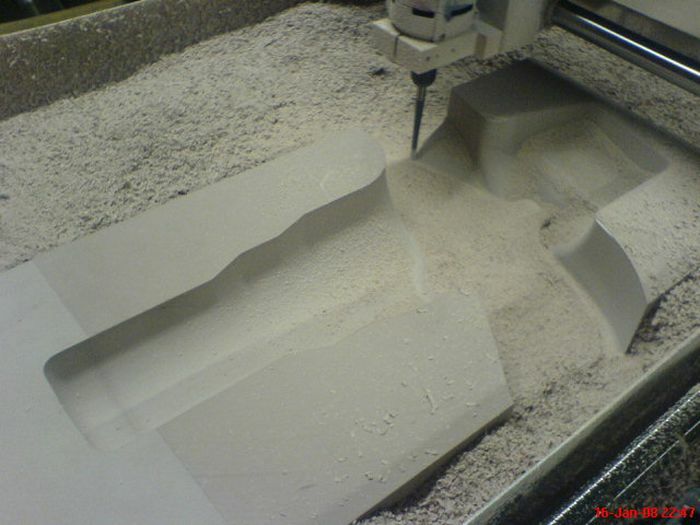 3D milling is, so to speak, the supreme discipline in machining. Your data can be created in a 3D CAD program such as Turbo-CAD or Corel 3D and then converted into G-codes using the CAD CAM software DeskProto Lite or DeskProto 4.0. 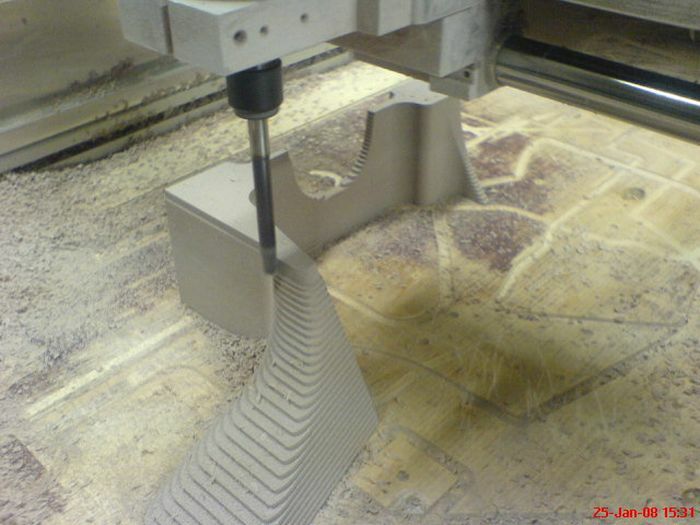 WIN PCNC Economy or professional CNC-CAM software are then responsible for controlling the machine. 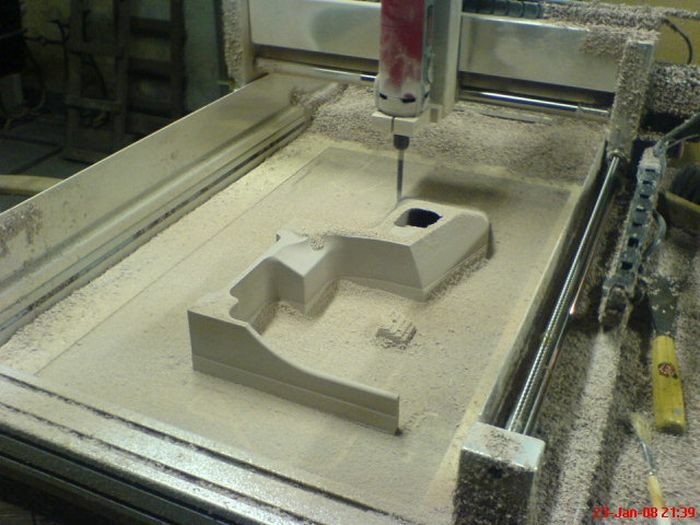 Our large CNC milling machines are also able to carry out 3D work simultaneously on 4 axes. 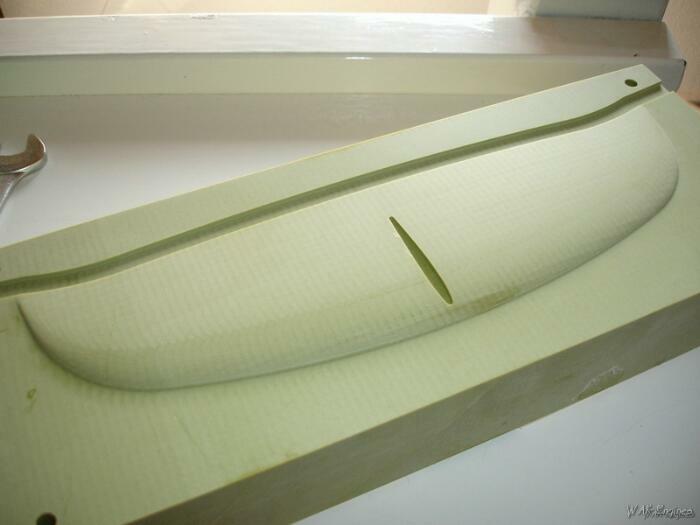 The pictures for the example of rapid prototyping in Ureol could also be without any text, because the results speak for themselves. 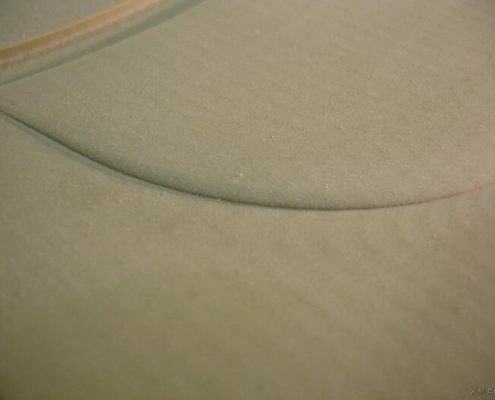 This is also a nice example of the sensitivity of the system against contamination by PVC and Ureol. 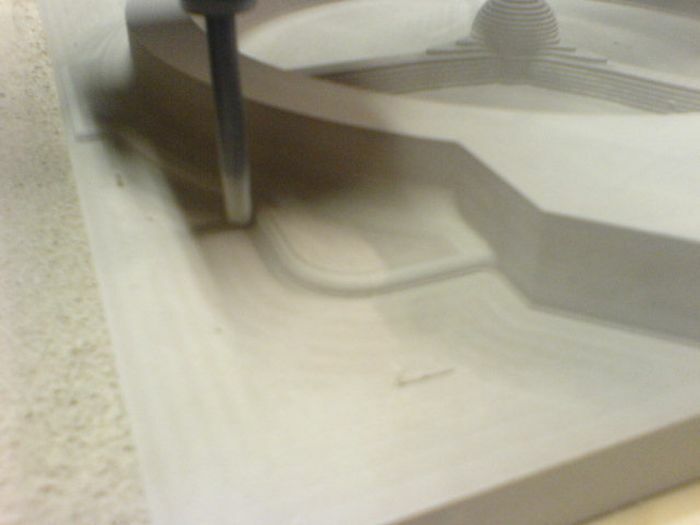 It does not matter which contours without undercuts you have to deal with. 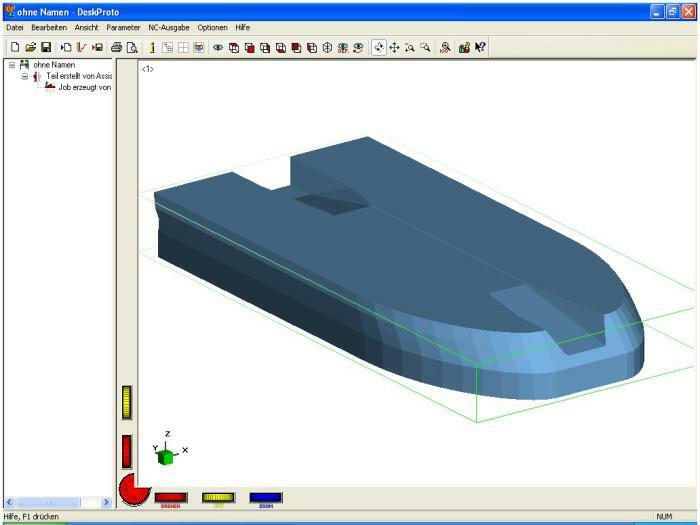 To convert drafts in DXF or stl format, DeskProto software offers everything you can do to create readable G codes in no time at all with the WIN PCNC software (from version Economy 3D ready onwards). 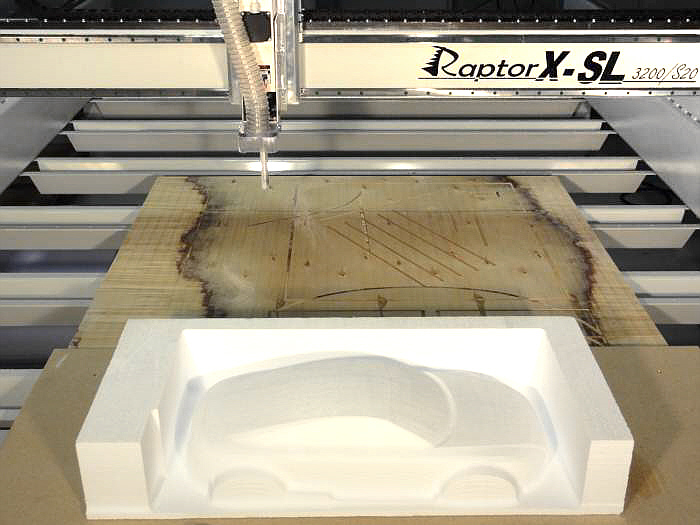 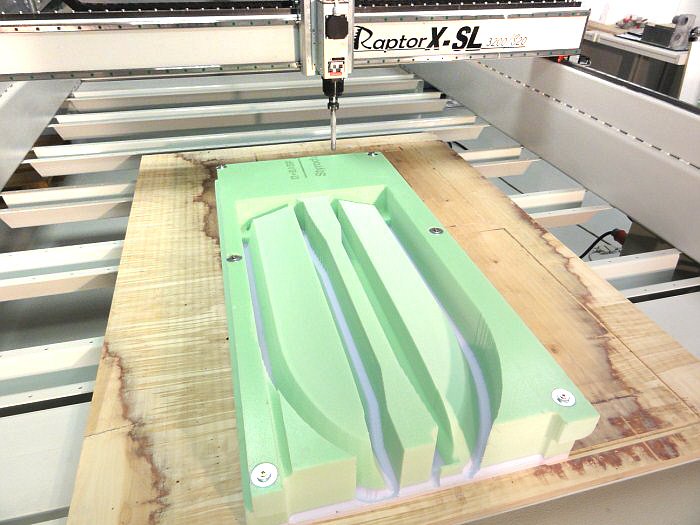 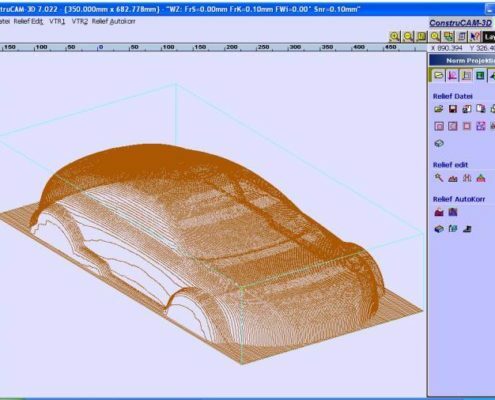 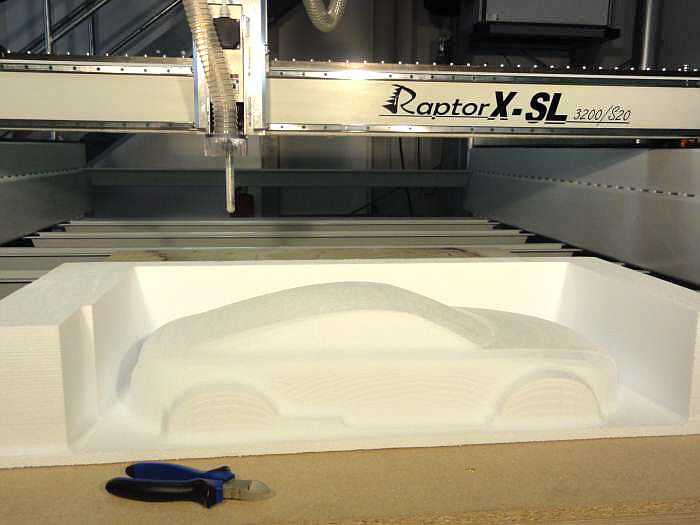 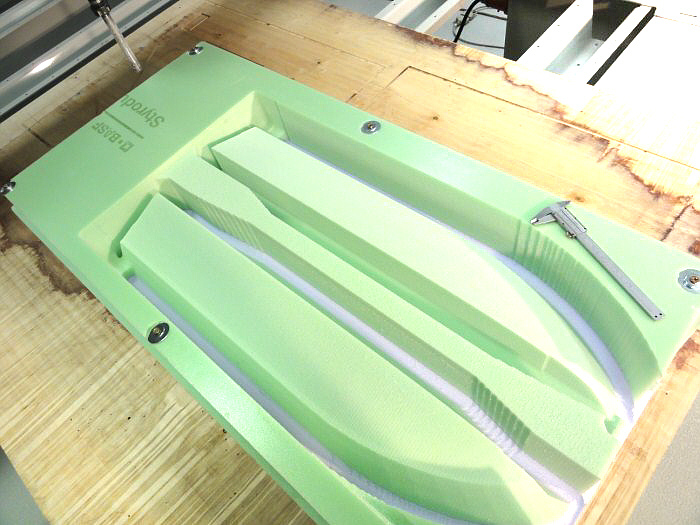 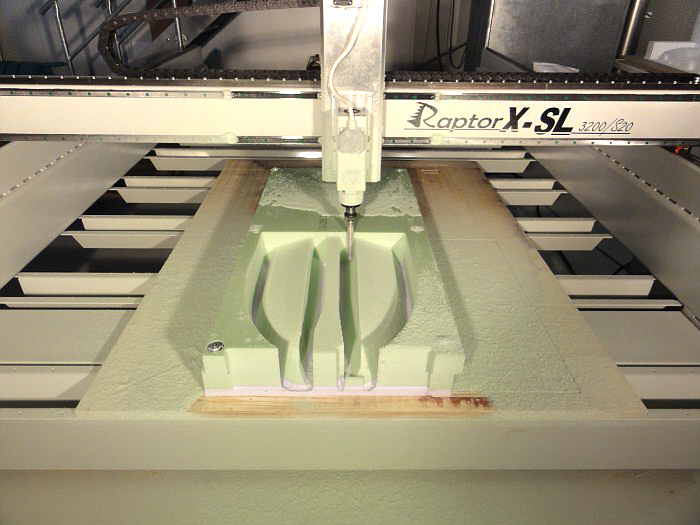 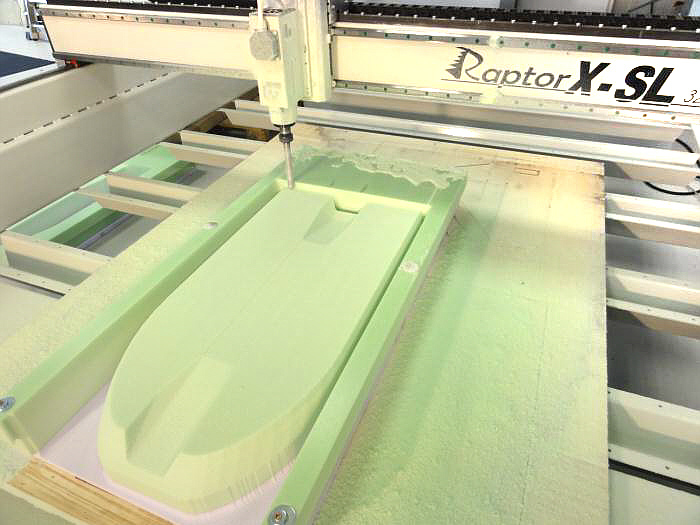 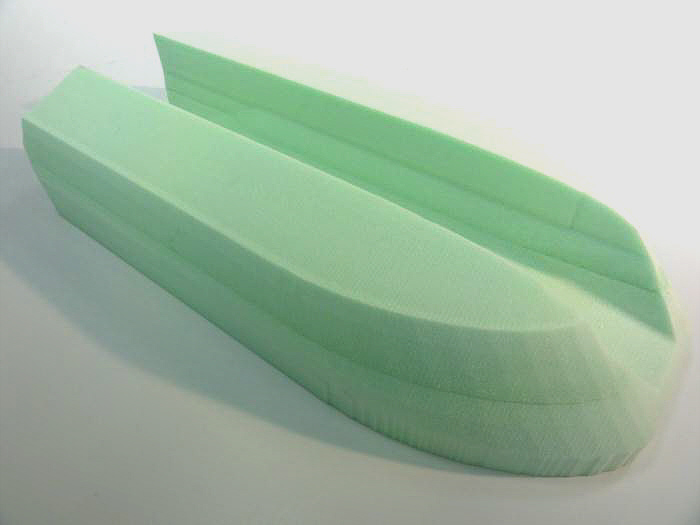 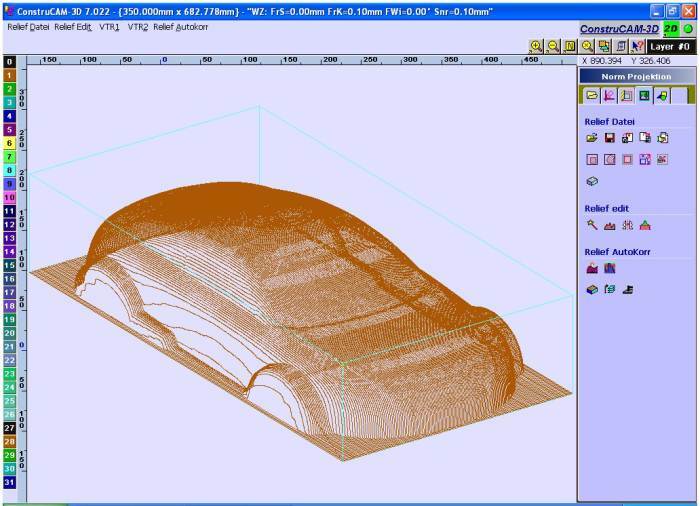 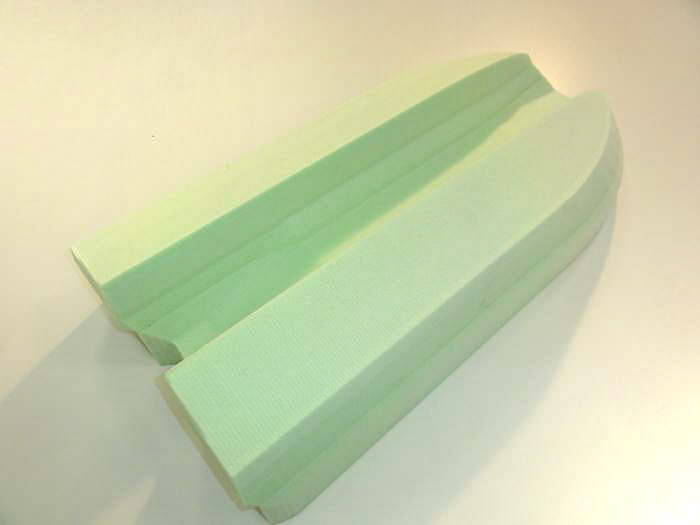 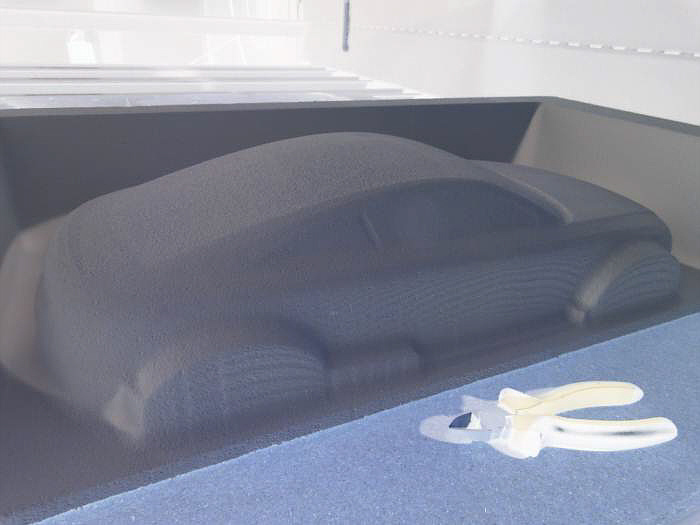 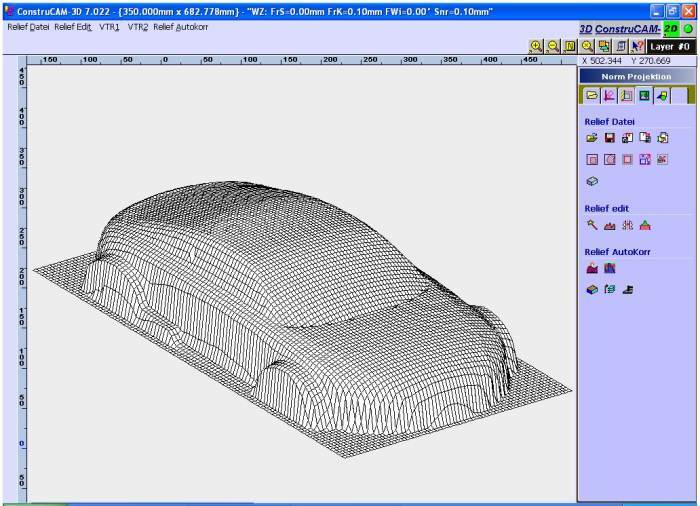 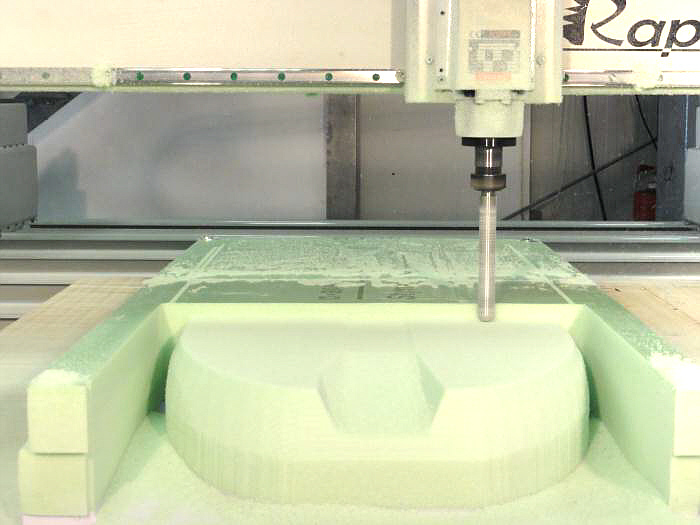 Rapid prototyping of a car body with the 3D-CNC milling machine RaptorX-SL made of styrofoam. 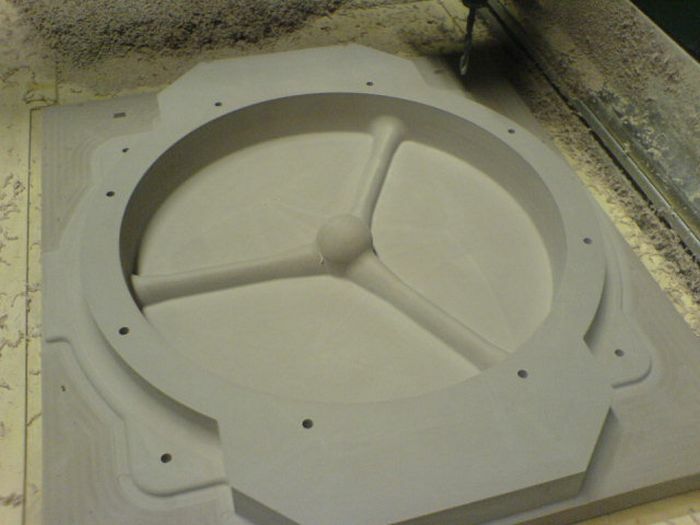 We mill with a very special Styrofoam cutter (diameter 20 mm and length 150 mm) made of steel. The depth infeed during roughing was selected here to be 140 mm, the distance between the milling paths is 5 mm, for finishing 1.5 mm. 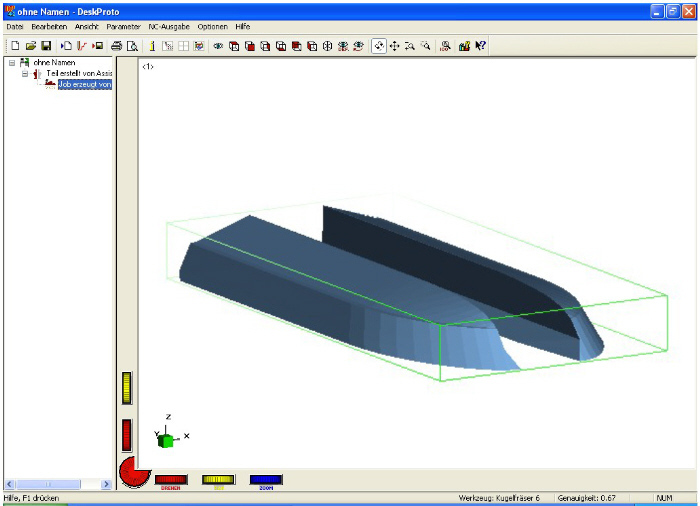 Of course, the milling paths were generated by the software ConstruCAM-3D. 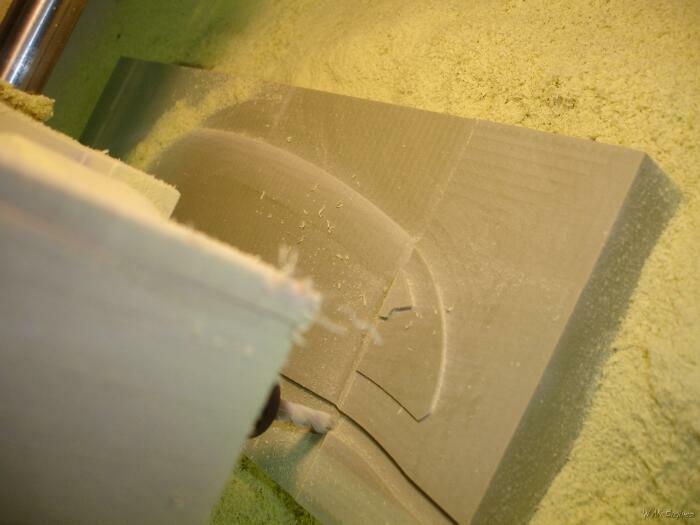 The feed speed is 100 mm per second, 6 meters per minute. 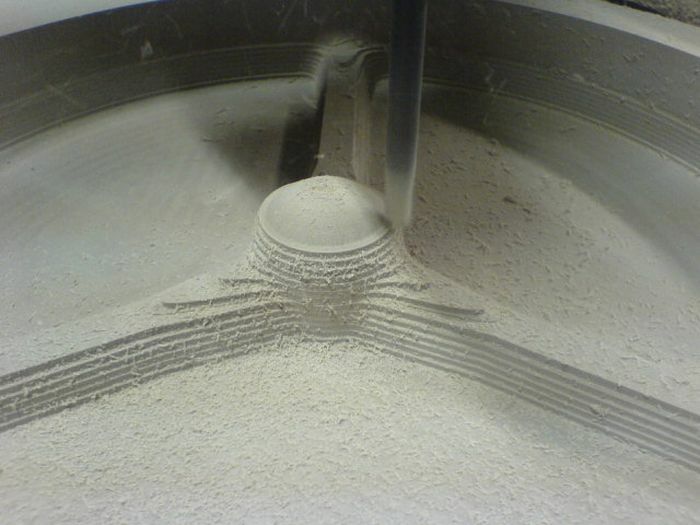 The complete form with a size of approx. 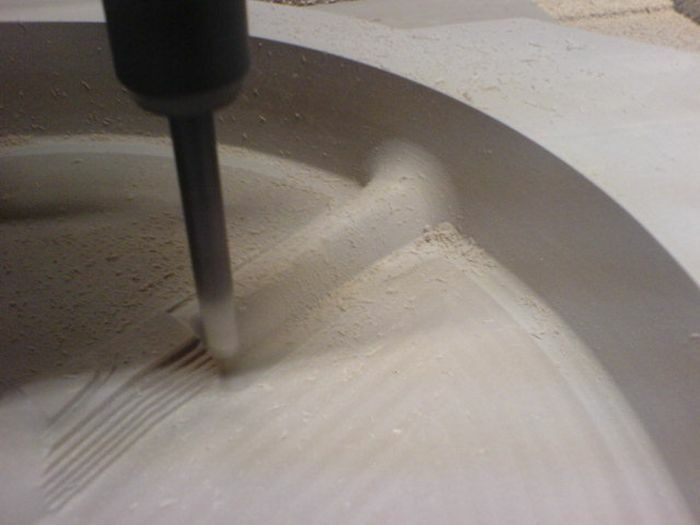 600 x 450 x 140mm was completed in only approx. 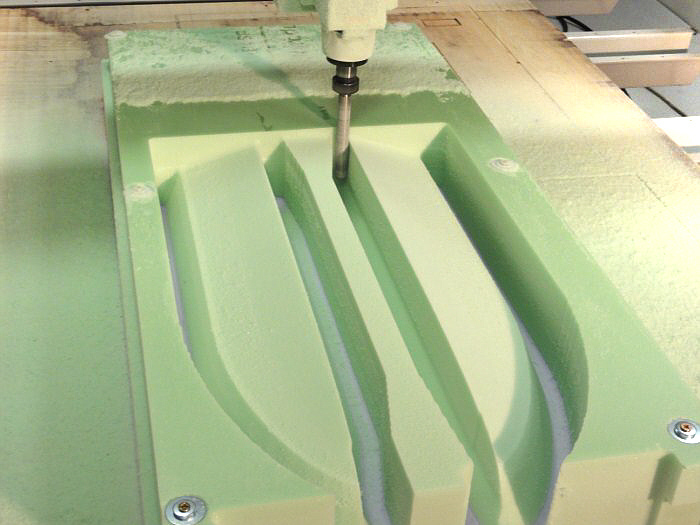 15 minutes. 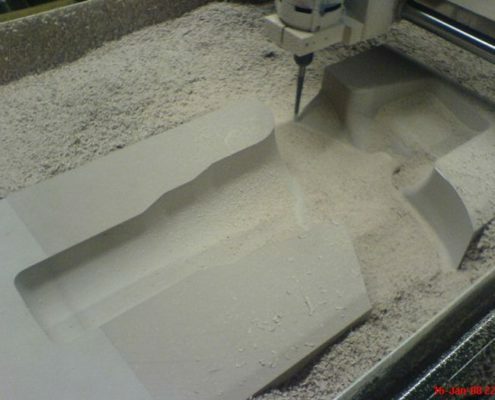 In these materials, one could, for the sake of saving time, forego the pre-milling and finish the workpiece directly with a small distance between the tracks. 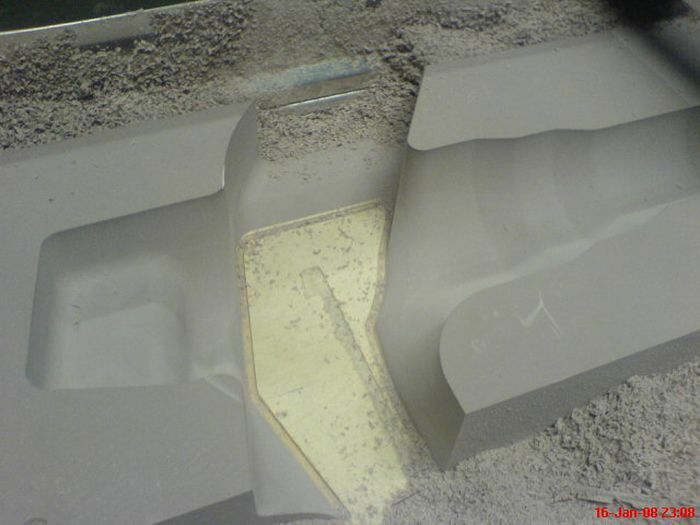 With the special milling cutter used and the high feed speeds, we got a clean and for the material quite smooth surface, which comes very close to a hot wire cut. 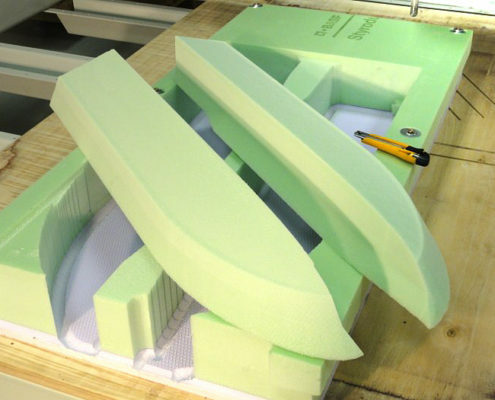 There are special lacquers or roll coatable and sprayable two-component coatings for the surface treatment of Styrofoam, which make these materials shine even in high-gloss colors and, above all, are even weatherproof. 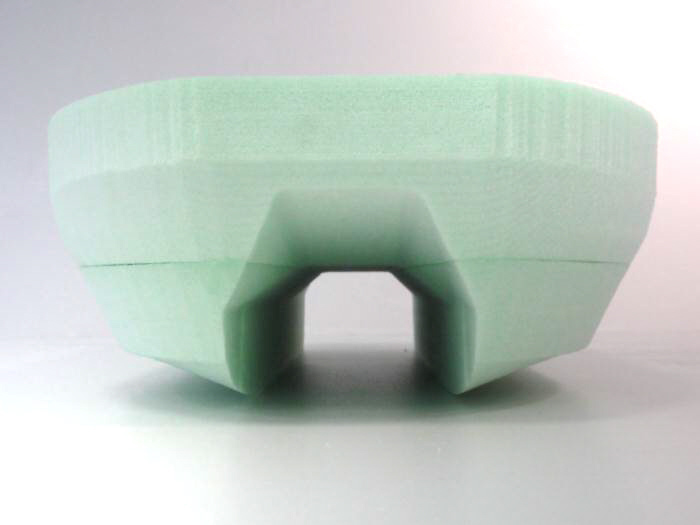 This makes Styrofoam the ideal material for trade fair construction, mold construction, large-scale construction, etc.